We’ll be talking eCommerce for the small, creative business (with a focus on Shopify), at the Creative Bedfordshire event on 3rd Nov at the Gordon Arms on Castle Road, Bedford. We’ll be giving a quick-start guide to eCommerce as an introduction to those looking to take their first steps. Essentially we’ll be explaining how easy it is to start selling online today, the essentials to get your online store up-and-running in as little as one evening, and covering some of the key things you need to know to succeed and avoid risk. Our short talk is ideal for those curious about what’s involved, who want to try it out without making major commitments. We’ll be touching on the minimum outlay required to get going, and the things you need to look out for to make informed decisions. We’ll also be briefly touching on point of sale, and how you can take credit/debit cards at craft markets and trade shows within the same system, so you can can have a joined-up approach to your sales strategy. If you are already selling online and have more advanced or complex questions we’ll be hanging around afterwards to answer those type questions afterwards, in more detail. We work with a couple of eCommerce platforms but chose Shopify, for this talk because of its very low entry costs, low-risk, and minimal commitment meaning anyone can afford to give it a try and, at the very least, use it as a learning experience to work out. With simplicity at its core, its easy to use interface and minimal commitment, Shopify lets you have a fully functioning, reliable and stylish online-store up and running for the price of a takeaway. The basic Shopify eCommerce package can start for less than £20 per month and you can upgrade to add features and functions. That’s £250 per year. If, for any reason, you don’t like it, you can leave with just one month’s notice. 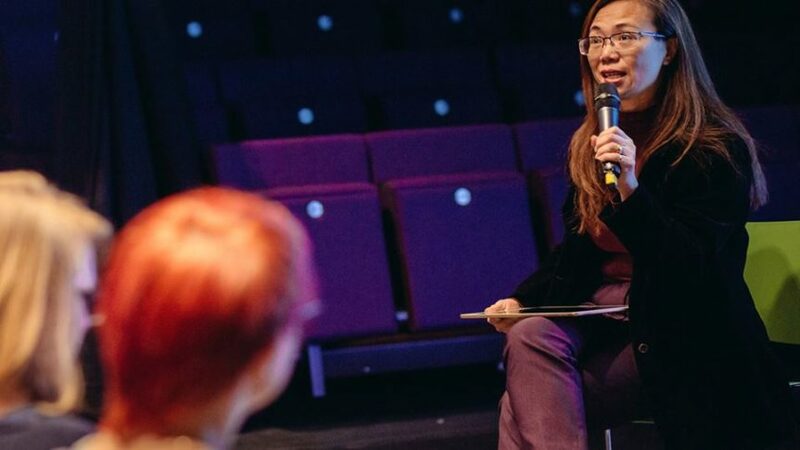 The Creative Bedfordshire network is for anyone working in the creative industries and the arts (or who want to get into started in them) so it’s a privilege for us to be be able to offer some practical advice that can help them succeed. Creative Bedfordshire November networking has a focus on Sales & Marketing. Narrative Industries is a Bedford based digital consultancy. Founder, Alec will be giving the room a quick-start guide to eCommerce. Using Shopify as an example Alec will talk about the why and how of approaching eCommerce from the perspective of a small creative business or sole trader. Lisa will be talking (and performing) us through some the marketing tips for small creative businesses and individual arts practitioners. Photo credit – taken at Creative Bedfordshire December 2015: Cat Lane Photographer.